John’s Camp is in the heart of Mana Pools but tucked away in the remote eastern corner of the Park, far removed from the busier central areas. 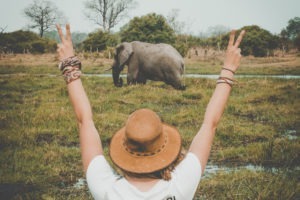 It is perfect for travelers looking for a private, authentic and personal experience. 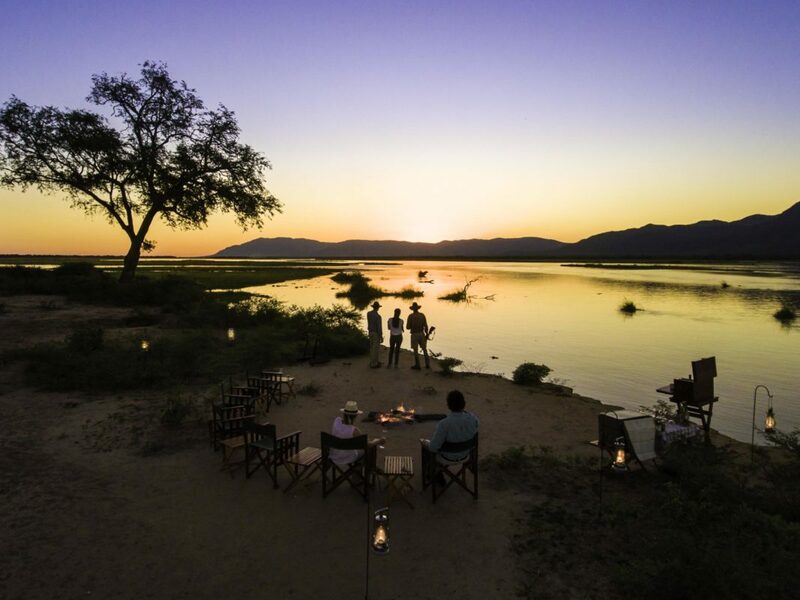 Named after local conservationist and guiding legend John Stevens, John’s Camp is a very special spot in the famous Mana Pools. John Stevens is a key Team member of the Zambezi Elephant Fund (ZEF) addressing poaching in the Zambezi Valley of Zimbabwe. 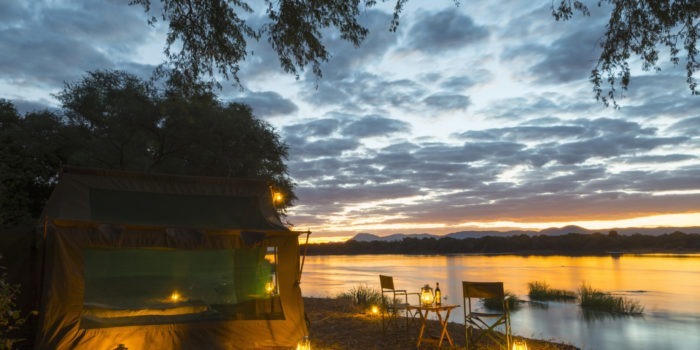 Central to the camp is a lounge area with an open-sided mess tent, comfortable lounge seating and awesome views of the Zambezi. 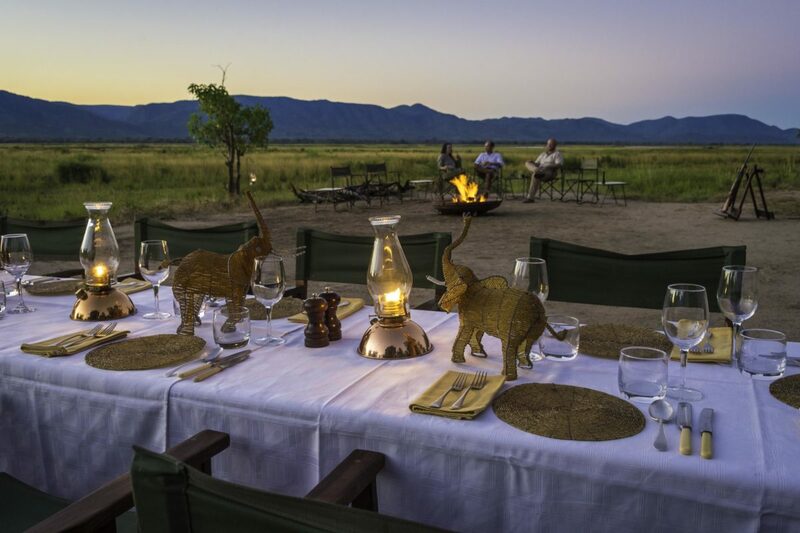 The dining area is long table for communal meals, but guests can also enjoy al fresco dining closer to the river. 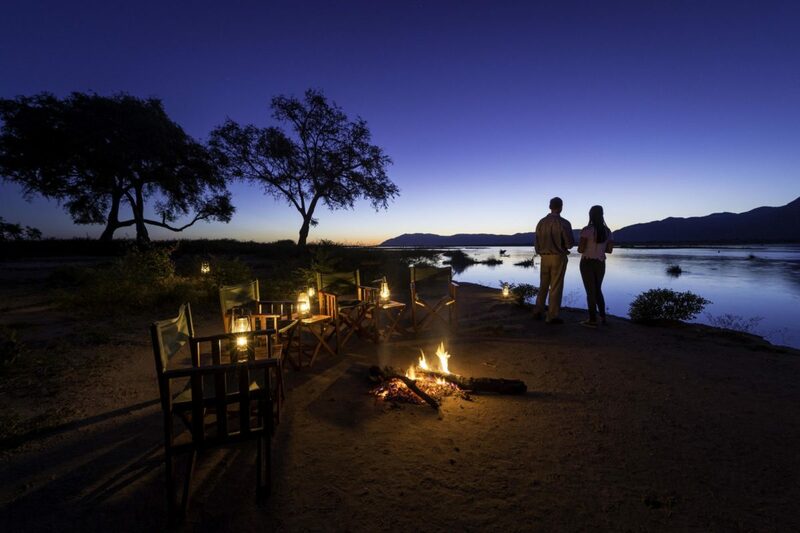 The camp’s fire-pit is fantastic for chatting the night away under Africa skies! 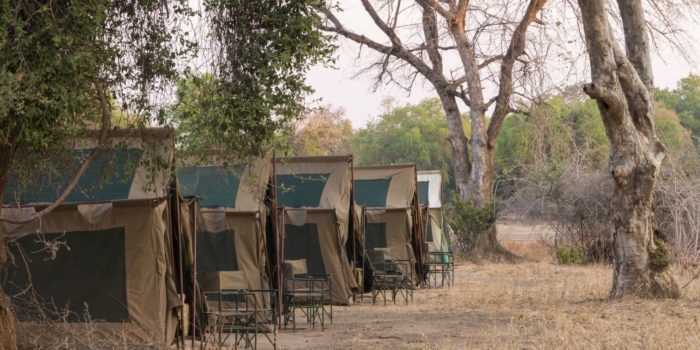 Accommodation at John’s Camp consists of five Meru style tents, spread out either side of the Central area and under shady trees. 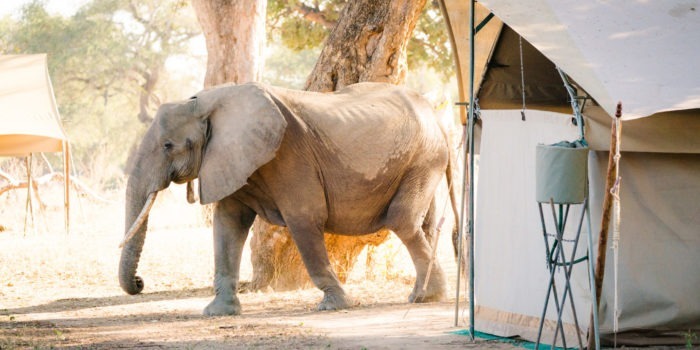 All tents are on the banks of the Zambezi River. 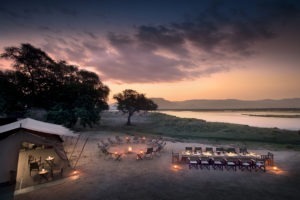 The tents are double-canvas structures with mesh sides to let the breezes in on those steamy Zambezi Valley nights. 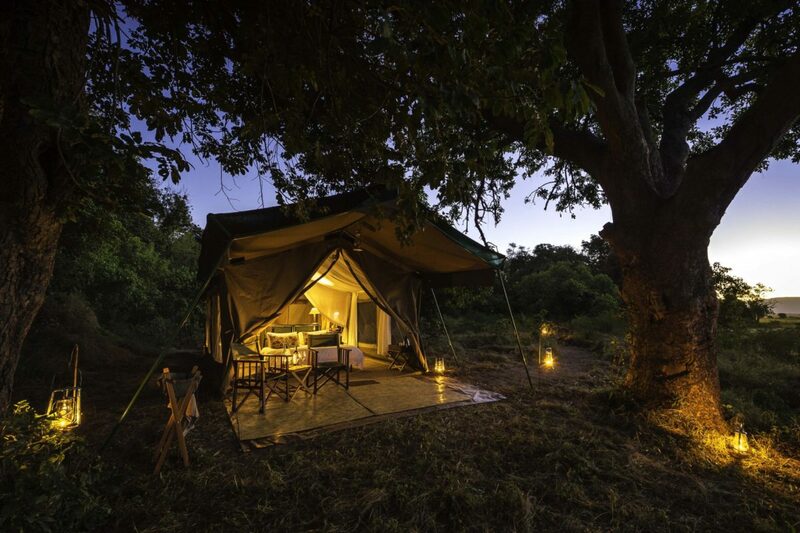 Each tent has a small verandah where you can sit and observe the wildlife in the river. 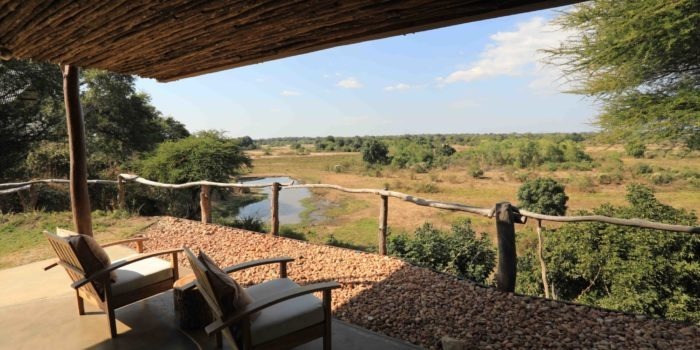 The en-suite bush bathroom is at the back and comprise of a flush toilet, washbasin, and traditional bucket shower. 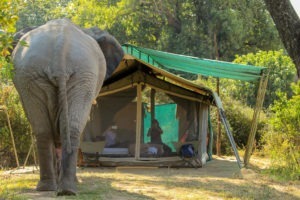 The tents can also be setup with an extra bed for a child, making them triple rooms. The camp is solar powered. John’s Camp offers varied activities including game drives, walking safaris, fishing and sleep-outs on an awesome deck. 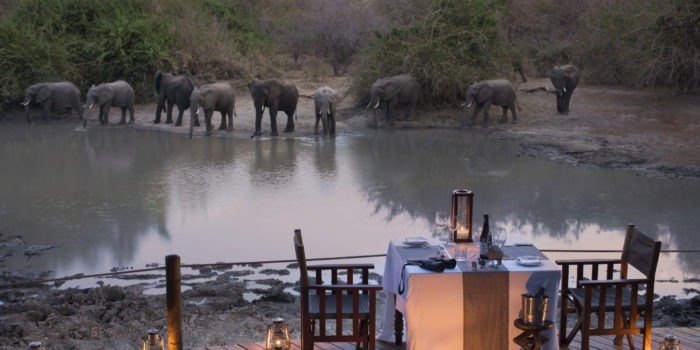 The deck is a bit away from the main camp and comes with mosquito nets and one of the best views around! The guiding at John’s Camp is exceptional and a walking safari on the Zambezi floodplain and an encounter with one of the famous bull elephants of the area, is just an epic experience. 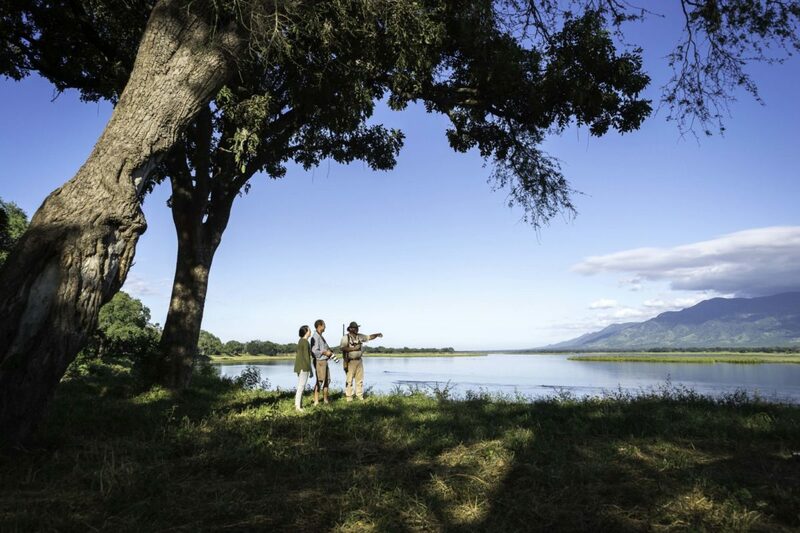 Fishing for the famous tiger fish is only from shore and on a catch and release basis. 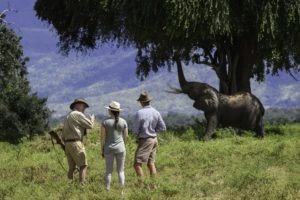 Mana Pools is home to a four of the BIG 5 (no rhino), as well as the other predators such as cheetah, hyena, and painted wolves. It also hosts most herbivores with some large and beautiful eland inhabiting the flood plain. 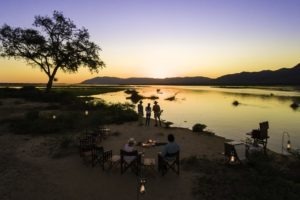 Birdlife is prolific (some 350 species) and the twitchers amongst you will not be disappointed, as one can spend hours just sitting on the banks of the Zambezi finding those elusive species! 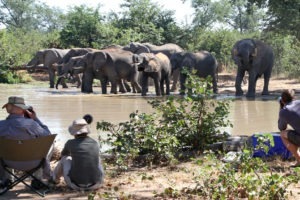 Favourite spot of Zimbabwean conservationist/legendary guide John Stevens. 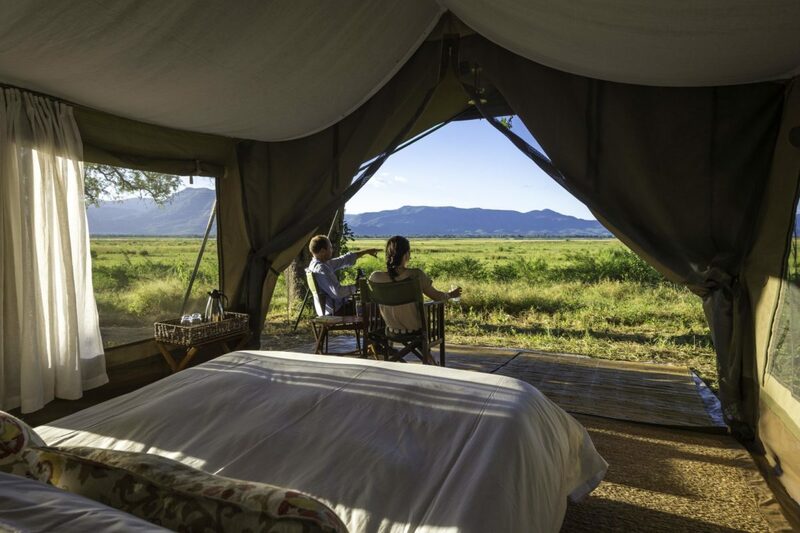 Intimate camp managed by experienced management Team Milo and Sarah. Great personal service, good food and very comfortable accommodation. 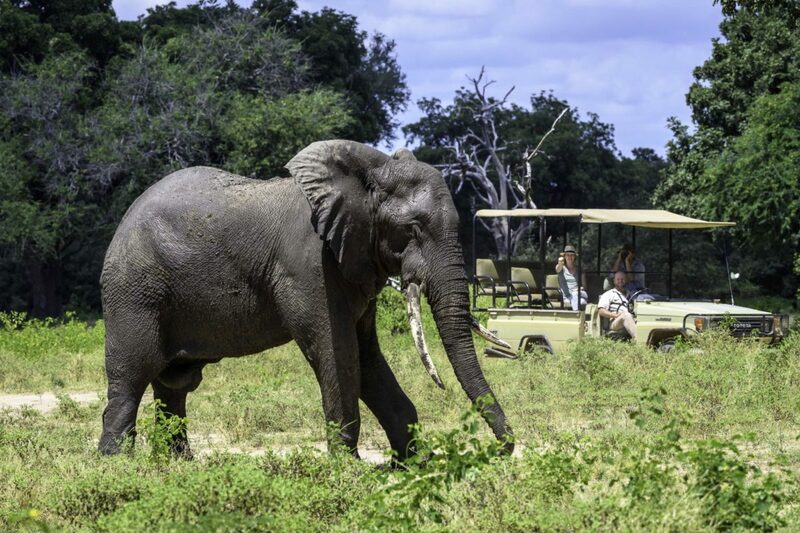 Great guiding and varied activities including drives, walks, fishing and relaxing…. Tucked away in a remote corner of Mana with one of the best sleep-out decks around!